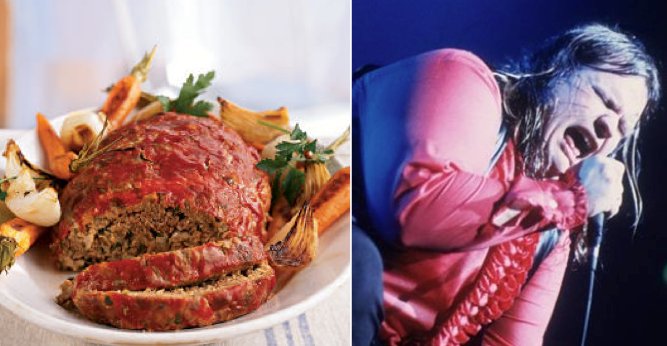 Struggling through a hot, humid, long run this morning, when for some strange reason the thought of meatloaf struck me. No, not the hit-or-miss "special of the day" at your local diner, drive-in or dive. And no, not the sappy, sensitive former rocker turned Apprentice star. But rather, it was a flashback to the long haired stage sensation of the 1970’s, Michael Lee Aday ...... OK, so the same Meat Loaf, just not as sappy! After hearing this song a few dozen times prior, (it is mile 9 on the marathon play list), it finally made a connection. You know, it definitely wasn’t coming easy today, but the alternative was that the run wouldn’t happen at all. That would be worse than the current struggle. So, I sucked it up and thought about how great it would feel when I finished, and about how grateful I was to have the time and ability to be pounding the pavement today. Thank you Mr. Aday, er...., Mr. Loaf.